Bariatric chairs, also known as oversized chairs or extra wide guest seating, are chairs that have substantial weight capacities to offer both comfort and safety to those in a healthcare or hospital environment. 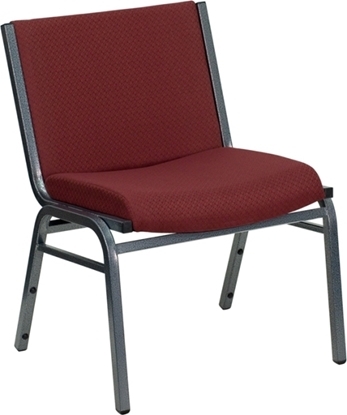 Bariatric chairs feature wider seating and heavy-duty frames providing comfort and durability. Classic in style and very comfortable, the Siena heavy duty guest chair works well in a home office, lounge or waiting room. Rated to hold up to 500 lbs., this bariatric chair has a beautiful design and comes in many different fabric and finish choices. Free shipping and warranty on all office and medical furniture. The Lesro Ravenna heavy duty bariatric chair is as comfortable as it is stylish. 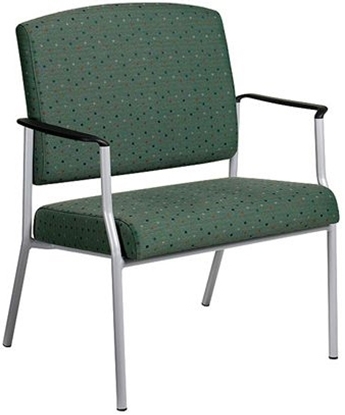 Rated for up to 500 pounds, it is a great choice for private office guest seating or a waiting room. Free shipping on all bariatric office furniture. This heavy duty bariatric chair from Lesro's Somerset collection is clean and contemporary. Great for a waiting room where you often welcome people of all shapes and sizes. The wood capped arms add extra durability. The weight capacity is 750 pounds. Free shipping on all bariatric furniture. Great design. Great price. This Mystic Lounge Series bariatric chair from Lesro is stylish with its panel arm providing a sophisticated tailored look. 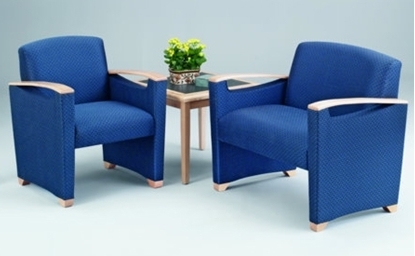 Combining strength, stability and comfort with a clean design, the Comet bariatric guest armchair is a versatile solution. Perfect for waiting rooms, examination rooms and your home. The heavy duty oversized seat and curved accented back will support individuals weighing up to 500 pounds comfortably. Free shipping on all healthcare furniture. A contemporary Bariatric Chair with a 750lbs weight capacity, the Fremont E1801G8 works great for your healthcare reception room or seating area. This Bariatric chair gives you the option of either brushed steel legs or solid wood legs and is available in a number of fabric and vinyl choices.